Living modestly in Sydenham is one of the most influential people in the county, a man who has been making an impact on the local community and on local politics for well over forty years. That man is Mota Singh. Mota will be the first to say that his command of English was not brilliant at that time. 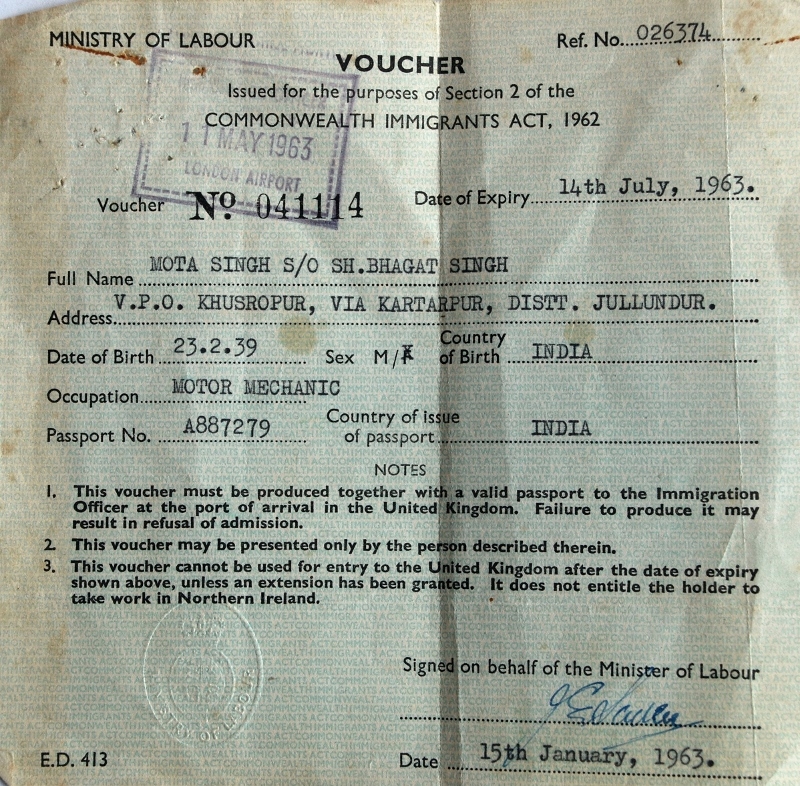 However, aware that 70% – 80% of contemporary Asian people could not speak English at all, he made it his business to help all those needing support with officialdom, whether it be for passports, housing, or dealing with the council. Whatever the problem, he was determined to help. 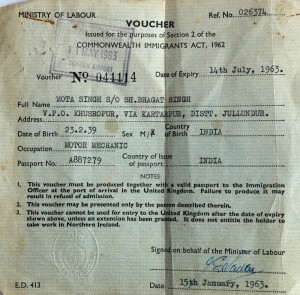 Mota has been involved in community work since 1963, and was instrumental in the negotiations to purchase the old St. Mary’s Sunday school building in New Street from St. Mary’s Church for the sum of £6,700, for the first Sikh Temple. 1963 was a bad time for employment nationwide, but Mota managed to get a job as a polisher for Mr. Fink at the Leamington Plating Company. His luck was not to last though, as a number of the workers wanted to join a union and Mr Fink decided that employees who wanted to do that would no longer be employed by him. Mota had been working there for all of 3 months. Later that year the Transport and General Workers Union found work for four Asian workers at the Imperial Foundry, (or Ford’s, as many of us know it). Mota was one of the four. At the time he didn’t have a home of his own. Like many of his compatriots who came to work here, he was lodging in a very crowded 3-bed roomed house in Wise Terrace. The foundry work itself was very hard, and the conditions there physically very demanding, but undeterred, he stayed for four years until Christmas 1967. By this time, he was Secretary of the Indian National Association. Between 1968 and 1978 he was also the Asian community representative on the Race Equality Council. 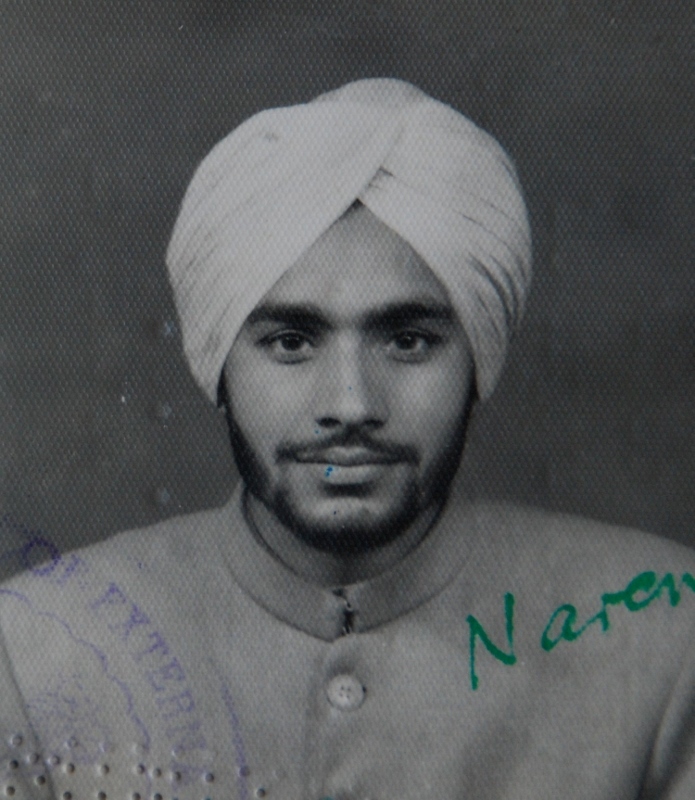 In 1968 he returned to India to marry Surinder Kaur and stayed for 7-8 months. On his return to Leamington he went back to Fords and worked there for 10 years in all, but 1974 saw him admitted to Hertford Hill Chest Hospital, seriously ill with bronchitis and a chest infection. This meant he could no longer work in a foundry and was advised to look for a job outside. Mota earlier suffered disappointment when he failed to get a job at the Post Office, but after the Foundry, he did go on to work at the Post Office in Priory Terrace, a respected postman and postman-driver for 28 years from 1974 until retirement in 2002. 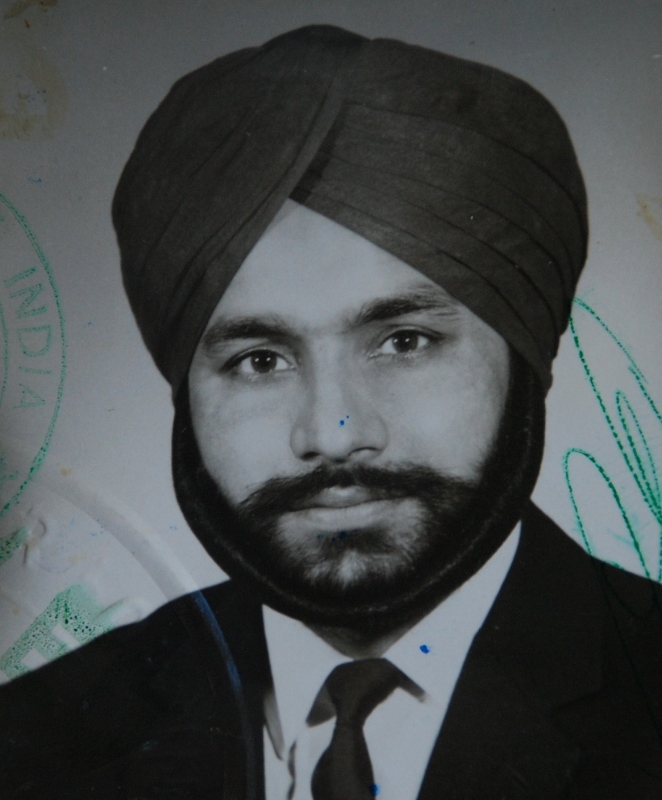 Mota, his wife Surinder and their three children Jasjit, Gurpreet (Gilly), and Jaskaran moved from Plymouth Place to St Brides Close, Sydenham in 1980. 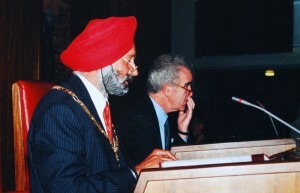 During the County Council elections for Warwickshire on 2nd May 1985, he won the Brunswick Ward seat for Labour with a majority of 751 and became the County’s first Asian councillor. In 1985 he also became a member of the Police Committee and nine years later, its Chairman, in spite of chest problems requiring a heart bypass operation in 1994. In 1998, Mota went on to become Chairman of a much changed Independent Police Authority. In 2006 he was recognised for his magnificent 21 years as a member of the Police Authority Service. In 1999 he became Vice Chairman of Warwickshire County Council, and followed this in 2000 by becoming its Chairman for that year and for 2001. 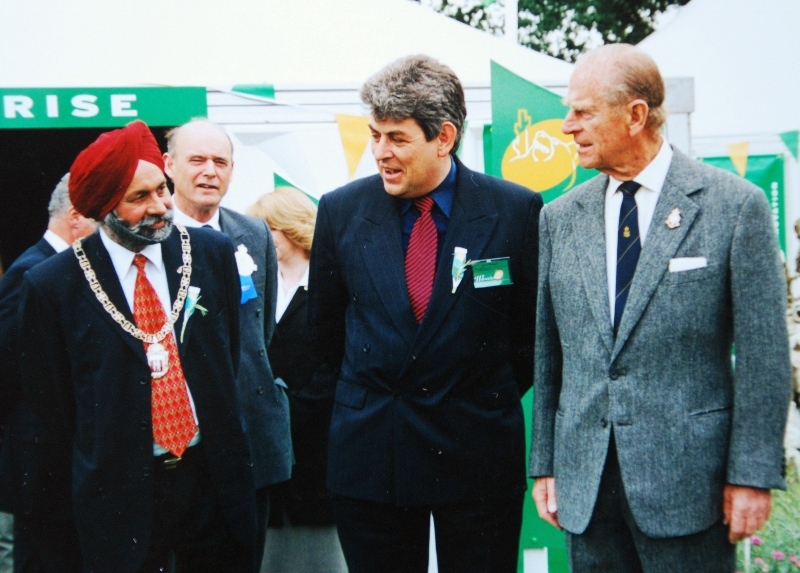 For Mota, 2001 was a year to remember: as Chairman of Warwickshire County Council, he met Prince Charles at Stratford Upon Avon, Her Majesty the Queen at a Buckingham Palace garden party, and he had the privilege of escorting Prince Philip at the Royal Show at Stoneleigh. 14th May 2004 saw a proud Mota sworn in as the Mayor of Royal Leamington Spa. His election was tinged with sadness though, as his wife did not live to see the day. Shortly afterwards he visited Sierra Leone with a local delegation in order to forge links with Bo. In addition to his council work, Mota also found time to be a governor of Campion School, Whitnash Nursery School, Shrubland Street School and Kingsway School. He has been a Director of Regenesis and a trustee of the Sydni Centre for around 11 years. From 2004 until 2008 he was a non-Executive Director of Warwick Hospital. Many people will be aware of Mota’s numerous achievements through local press coverage and photographs, but how many are aware that he is also a published poet? Nevertheless, he is. In 2007 he published his first book in India in Panjabi – and the second is on the drawing board. He also writes in Panjabi every month for the weekly newspaper ‘Perdes’ about social and political issues. After his son Gilly Mundy’s sudden death on 17th March 2007, Mota set up a trust, the Buwan Kothi International Trust, and successfully raised £120K in two years to found a charity school in Haryana, India. The school is the Gilly Mundy Memorial School in the village of Lehrian. At the time of writing, the school has 10 teachers and caters for 250 children. The cost so far has been £½ million. For further information about the school check out its website, www.buwankothi.org.uk. 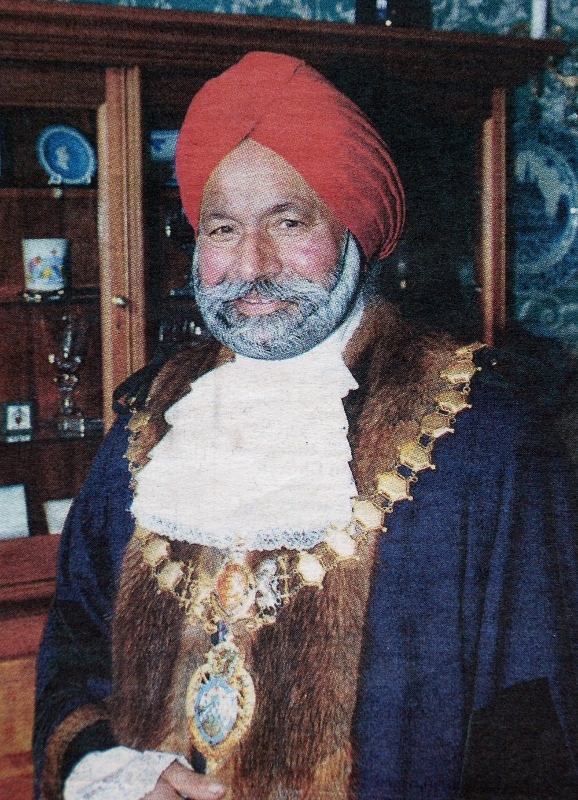 Mota will retire from his role as Warwickshire County Councillor on 4th June 2009 after 24 years and 1 month’s service, although he will continue as a town councillor.